"The Bells" is a heavily onomatopoeic poem by Edgar Allan Poe which was not published until after his death in 1849. 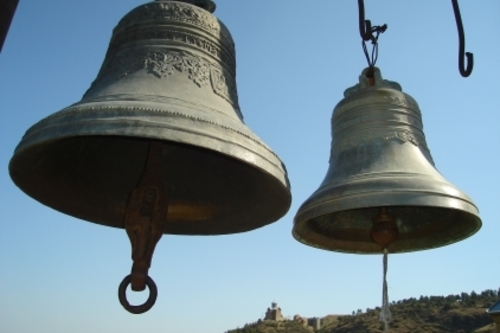 It is perhaps best known for the diacopic use of the word "bells." How does Poe use word choice and rhythm to reflect the emotions described in the poem?